Perfect without doubts nice smell Fine Taste on tongue. Excellent, suave, un réel plaisir. Vaut chaque dollars. Way better than the 12 yr but still not my thing. The flavours are really nutty and coffee and seem almost artificial. I expect better for the price. Spicy scent but rather neutral, well rounded taste. A good rum but almost identical to the 12-Year-Old, it's just a bit smoother. The 12-Year-Old is better value. I don't regret to buy it. It is a great rum but next time I probably will go for the 12 year again or try the Insolent XO. Volám ho tak preto , lebo pri tomto rume mám nutkanie si zapálit cigaru aj ked cigary nefajčím . Možno si to nahováram ale najviac mi tam preráža čokoláda alebo kakao ? Viac bodov nemohol odomňa dostať, lebo mi na ňom prekáža dosť podstatná vec . V ústach jecho chuť nevydrží veľmi dlho skor dosť krátko na to koľko ma rokov . 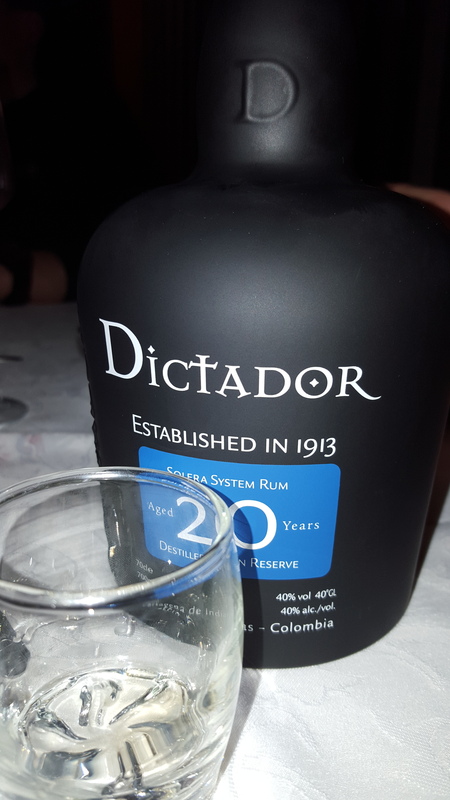 As the tittle says 12 years dictador is better. 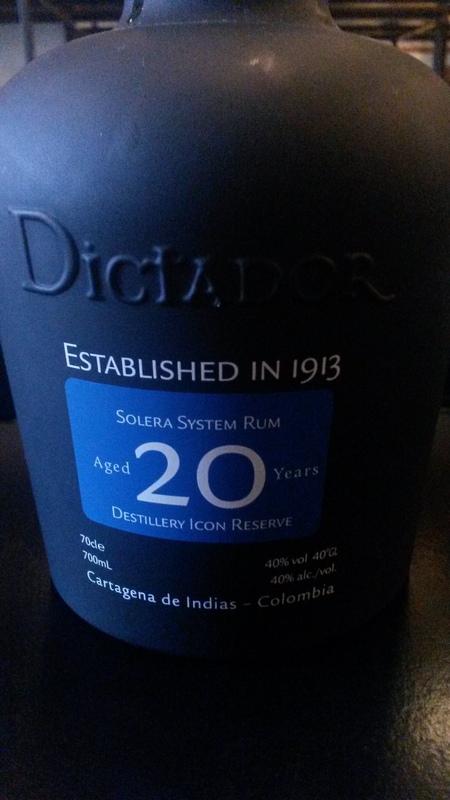 The solera system hurts this 20yo. 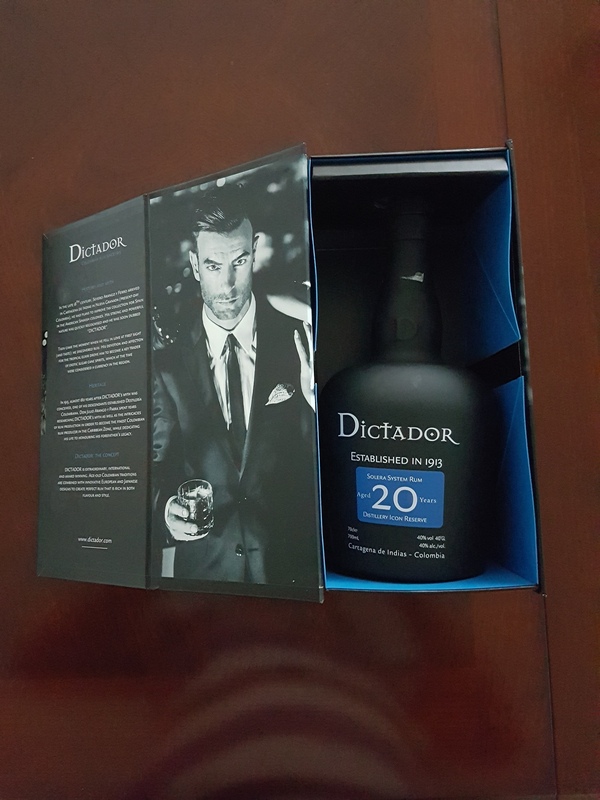 It is pleasent but for a 20yo its too light it loses its after taste fast and becomes dull. Strong caramel, sweet rum , strong oak. Sladká, kořeněná až nepříjemná vůně s kouřem. Kouř je cítit i v chuti. The nose is fantastic with oak and vanilla. The taste doesn't quite live up to the nose. It's OK though. Le 12 ans est déjà très bon, mais le 20 est au dessus : longueur en bouche plus longue, palette aromatique plus large. Un vrai rhum!!! Chiar pot sa spun ca e un rom extraordinar. Foarte rafinat, aftertaste de vis, nuante de cafea, tabaco, cocoa si fructe uscate. Se simte si butoiul, vechimea, stilul dur, chiar brutal. E altceva, foarte diferit. Desăvârșit in bunul stil Dictador, un rom special, învechit.. O surpriza plăcută! Recomand dar nu pentru începători. Și da, doar "on the rocks". Rhum assez classique n'ayant pas de caractéristique particuliere! Bonne dégustation! Très déçu de ce 20 ans. Le sucre y est tellement présent qu'il empêche d'apprécié les autres subtilités de ce rhum. Peut-être, à la limite, bon autour d'un feu entre potes au camping. Si tu aimes le Diplomatico, tu vas apprécier le goût, mais certainement pas son prix démesuré!!! It's always fun scratching one off the old wish light. 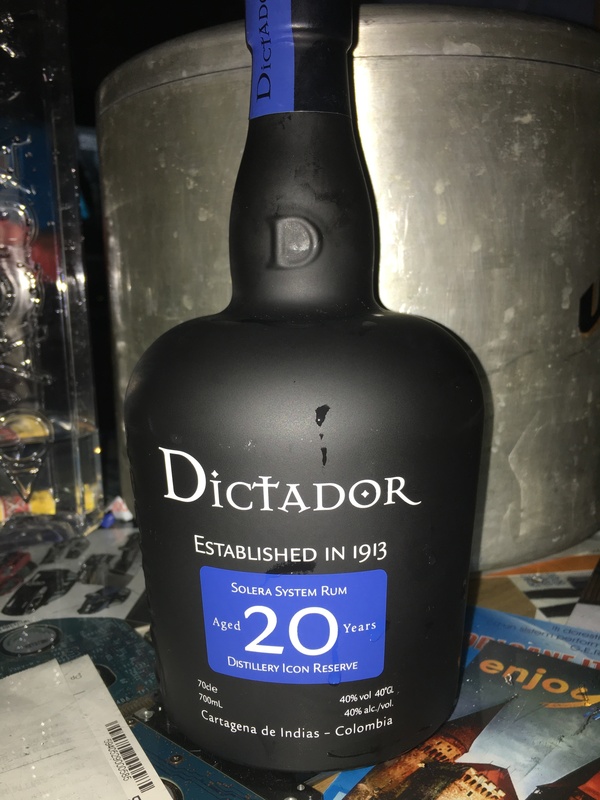 Just got this today and I have to say it's my favourite of the dictador rums I have tried so far(the insolent and the 12). I think this one has a citrus taste that balances out that thick smokey flavour of the other two. Můj čtvrtý rum a chuť pro mě byla obrovským překvapení. Není nějak příliš sladký a je hodně cítit káva a med. Bohužel jsem začátečník, tak to nedokážu zatím více popsat... jedině že je hladký, že v krku nedrhne. 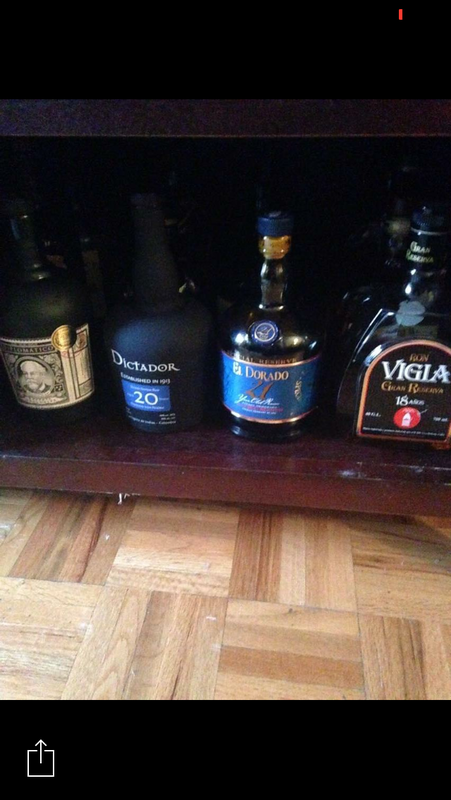 I think,for me this rum is OK. You don't do a mistake when you buy this rum. This is a very good rum with a nice taste of honey. A very pronounced taste of melasse. A good find that would fit a strong and tasty Partagas cigar.